Please be aware that many lamp prices have increased and the prices are a guide only. Some lamps have reduced in price. We offer possible the best lamp warranty (2 years) and possibly the fastest delivery of any company (next day) yet at a price comparable or lower than most. 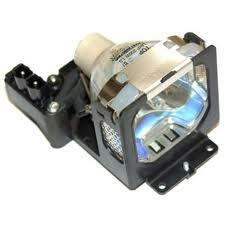 We can offer lamps for almost any projectors with quick quotes at the lowest prices. Stock is normally available for next day delivery. Great value lamps for Promethean, Sanyo, Smartboard, Toshiba, Epson, NEC, BenQ and almost any other projector. Call us on 01-2755800 or email sales@mediascene.ie with the make and model of your projector. The lamps below are the most popular. Click the link below for a full list in alphabetical order. All prices exclude VAT and courier delivery. Delivery is normally next day if in stock and there is no courier charge if ordering 2 or more lamps. All lamps, both original and compatible come with a manufacturers 2 year return to base warranty. Prices are a guide and you should check to confirm. Click the link below if your lamp is not listed.